Storlien is a small village in the Swedish province of Jämtland. 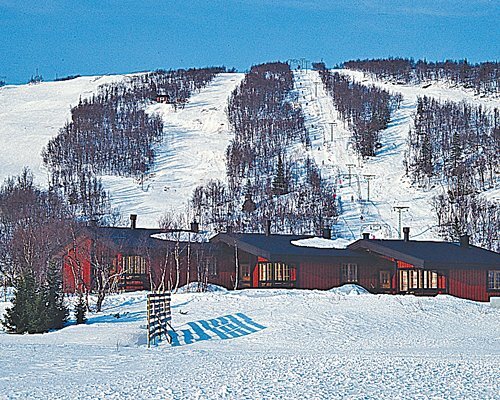 An idyllic winter wonderland, the excellent snow conditions make this a popular skiing area, which is often visited by the Swedish Royal Family. In summer, walking in the mountains to collect wild berries is a great way of exploring the area and enjoying the great outdoors. The three-bedroom apartments sleep six people, and come with a full kitchen. Please note that your unit does not include linen, and so a rental charge applies. Please note that your unit does not include linen. 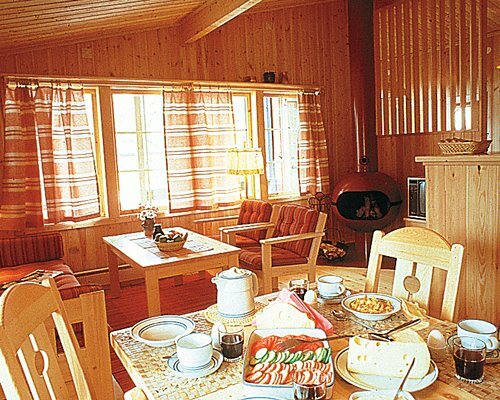 If you wish to rent linen (125SEK/person) from the resort, it must be pre-booked from fjall-lien@telia.com or by calling +46(0)64770301, or you can bring your own. The three bedroom units have dishwasher, TV, shower room and open fireplace. Linens fee is 125.00 local currency. Cash or Credit is accepted. Must be pre-booked or members can bring their own. Per person, per week.